Dr. Min-Yuh Day is an Assistant Professor in the Department of Information Management at Tamkang University, Taiwan. 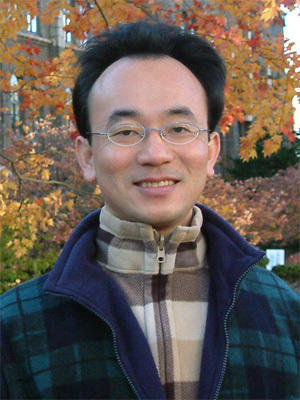 Prior to joining the faculty at TKU in 2011, he was a Postdoctoral Fellow in the Intelligent Agent Systems Lab, Institute of Information Science, Academia Sinica, Taiwan. He received the Ph.D. degree from the Department of Information Management at National Taiwan University, Taiwan. He received his MBA in Management Information System from Tamkang University, Taiwan. His current research interests include electronic commerce, financial technology, artificial intelligence, big data analytics, data mining and text mining, social media marketing, information systems evaluation, question answering systems, and biomedical informatics. He has published papers in Information & Management, Decision Support Systems, ACM Transactions on Asian Language Information Processing, Integrated Computer-Aided Engineering, International Transactions on Systems Science and Applications, Journal of Investing, Journal of Alternative Investment, Journal of Financial Studies, and Physica A: Statistical Mechanics and its Applications, and a number of international conference proceedings. Min-Yuh Day, Chorng-Shyong Ong, and Wen-Lian Hsu (2010), "An Analysis of Research on Information Reuse and Integration (2003-2008)", International Transactions on Systems Science and Applications, Volume 6, Number 2/3, August 2010, pp. 146-157. Min-Yuh Day, Tun-Kung Cheng and Jheng-Gang Li (2018), "AI Robo-Advisor with Big Data Analytics for Financial Services", The 9th International Workshop on Mining and Analyzing Social Networks for Decision Support (MSNDS 2018), Barcelona, Spain, August 28-31, 2018, in Proceedings of the 2018 IEEE/ACM International Conference on Advances in Social Networks Analysis and Mining (ASONAM 2018), Barcelona, Spain, August 28-31, 2018. Min-Yuh Day, Jian-Ting Lin and Yuan-Chih Chen (2018), "Artificial Intelligence for Conversational Robo-Advisor", The 9th International Workshop on Mining and Analyzing Social Networks for Decision Support (MSNDS 2018), Barcelona, Spain, August 28-31, 2018, in Proceedings of the 2018 IEEE/ACM International Conference on Advances in Social Networks Analysis and Mining (ASONAM 2018), Barcelona, Spain, August 28-31, 2018. Min-Yuh Day and Chao-Yu Chen (2018), "Artificial Intelligence for Automatic Text Summarization", The 7th IEEE International Workshop on Empirical Methods for Recognizing Inference in Text (IEEE EM-RITE 2018), July 7-9, 2018, in Proceedings of the 2018 IEEE 18th International Conference on Information Reuse and Integration (IEEE IRI 2018), Salt Lake City, Utah, USA, July 7-9, 2018. Chih-Chien Wang, Min-Yuh Day, Chien-Chang Chen, Jia-Wei Liou (2018), "Detecting Spamming Reviews Using Long Short-term Memory Recurrent Neural Network Framework", 2018 2nd International Conference on E-commerce, E-Business and E-Government (ICEEG 2018), Hong Kong, China, June 13-15, 2018. Min-Yuh Day, Tun-Kung Cheng and Jheng-Gang Li (2018), "Artificial Intelligence for Time Series Forecasting in Financial Markets", International Conference on INTERNET STUDIES (NETs 2018), Takamatsu, Japan, April 2-4, 2018. Min-Yuh Day, Chao-Yu Chen, Wan-Chu Huang, I-Hsuan Huang and Shi-Ya Zheng, Tz-Rung Chen, Min-Chun Kuo, Yue-Da Lin, and Yi-Jing Lin (2017), "IMTKU Question Answering System for World History Exams at NTCIR-13 QA Lab-3", The 13th NTCIR Conference on Evaluation of Information Access Technologies (NTCIR-13), Tokyo, Japan, December 5-8, 2017. Min-Yuh Day and Yue-Da Lin, "Deep Learning for Sentiment Analysis on Google Play Consumer Review", The 6th IEEE International Workshop on Empirical Methods for Recognizing Inference in Text (IEEE EM-RITE 2017), August 4-6, 2017, in Proceedings of the 2017 IEEE 18th International Conference on Information Reuse and Integration (IEEE IRI 2017), San Diego, CA, USA, August 4-6, 2017. Min-Yuh Day and Hung-Chou Teng, "A Study of Deep Learning to Sentiment Analysis on Word of Mouth of Smart Bracelet", The 8th International Workshop on Mining and Analyzing Social Networks for Decision Support (MSNDS 2017), Sydney, Australia, July 31-August 3, 2017, in Proceedings of the 2017 IEEE/ACM International Conference on Advances in Social Networks Analysis and Mining (ASONAM 2017), Sydney, Australia, July 31-August 3, 2017. Chih-Chien Wang, Min-Yuh Day, Chien-Chang Chen and Jai-Wei Liou, "Temporal and Sentimental Analysis of A Real Case of Fake Reviews in Taiwan", The 8th International Workshop on Mining and Analyzing Social Networks for Decision Support (MSNDS 2017),Sydney, Australia, July 31-August 3, 2017, in Proceedings of the 2017 IEEE/ACM International Conference on Advances in Social Networks Analysis and Mining (ASONAM 2017), Sydney, Australia, July 31-August 3, 2017. Min-Yuh Day and Chia-Chou Lee, "Deep Learning for Financial Sentiment Analysis on Finance News Providers", The 7th International Workshop on Mining and Analyzing Social Networks for Decision Support (MSNDS 2016), San Francisco, California, USA, Aug 18-21, 2016, in Proceedings of the 2016 IEEE/ACM International Conference on Advances in Social Networks Analysis and Mining (ASONAM 2016), San Francisco, California, USA, Aug 18-21, 2016. Min-Yuh Day and Wei-Chun Chuang, "The Effect of Customer Perceived Value on Relationship Quality Between Illustrator and Fans to Recommendation on Facebook", The 7th International Workshop on Mining and Analyzing Social Networks for Decision Support (MSNDS 2016), San Francisco, California, USA, Aug 18-21, 2016, in Proceedings of the 2016 IEEE/ACM International Conference on Advances in Social Networks Analysis and Mining (ASONAM 2016), San Francisco, California, USA, Aug 18-21, 2016. Chih-Chien Wang, Min-Yuh Day and Yu-Ruei Lin, "Toward Understanding the Cliques of Opinion Spammers with Social Network Analysis", The 7th International Workshop on Mining and Analyzing Social Networks for Decision Support (MSNDS 2016), San Francisco, California, USA, Aug 18-21, 2016, in Proceedings of the 2016 IEEE/ACM International Conference on Advances in Social Networks Analysis and Mining (ASONAM 2016), San Francisco, California, USA, Aug 18-21, 2016. Ching-Yuan Chien, Chia-Hsin Hung, Min-Yuh Day, Yuh-Tay Lin, Chu-Yin Yang, "Developing Four Stars Election Open Data in RDF: Evidence from Taiwan Election Open Data Project", International Workshop on Open Data and Applications (IWODA 2016), New Jersey, USA, August 15-17, 2016, in Proceedings of the 3rd Multidisciplinary International Social Networks Conference on SocialInformatics 2016, Data Science 2016 (MISNC, SI, DS 2016), New Jersey, USA, August 15-17, 2016. Min-Yuh Day and Cheng-Chia Tsai, "A Study on Machine Learning for Imbalanced Datasets with Answer Validation of Question Answering", The 5th IEEE International Workshop on Empirical Methods for Recognizing Inference in Text (IEEE EM-RITE 2016), July 28-30, 2016, in Proceedings of the 2016 IEEE 17th International Conference on Information Reuse and Integration (IEEE IRI 2016), Pittsburgh, Pennsylvania, USA, July 28-30, 2016. Chih-Chien Wang, Min-Yuh Day and Yu-Ruei Lin, "A Real Case Analytics on Social Network of Opinion Spammers", The 5th IEEE International Workshop on Empirical Methods for Recognizing Inference in Text (IEEE EM-RITE 2016), July 28-30, 2016, in Proceedings of the 2016 IEEE 17th International Conference on Information Reuse and Integration (IEEE IRI 2016), Pittsburgh, Pennsylvania, USA, July 28-30, 2016. Min-Yuh Day, Paoyu Huang, Yensen Ni, Yuhsin Chen (2016), "Do Intraday Jump Phenomena Matter for Trading Index Futures? Evidence from China Futures Markets", 2016 International Conference of Taiwan Finance Association (ICTFA 2016), New Taipei City, Taiwan, May 27-28, 2016. Min-Yuh Day and Cheng-Chia Tsai (2015), "Machine Learning for Imbalanced Datasets of Recognizing Inference in Text with Linguistic Phenomena", 2015 4th IEEE International Workshop on Empirical Methods for Recognizing Inference in Text (IEEE EM-RITE 2015), August 13-15, 2015, in Proceedings of the 2015 IEEE 16th International Conference on Information Reuse and Integration (IEEE IRI 2015), San Francisco, California, USA, August 13-15, 2015, pp. 562-568. Min-Yuh Day and Ya-Jung Wang (2014), "Analysis of Identifying Linguistic Phenomena for Recognizing Inference in Text", 2014 IEEE International Workshop on Empirical Methods for Recognizing Inference in Text (IEEE EM-RITE 2014), August 13-15, 2014, in Proceedings of the IEEE International Conference on Information Reuse and Integration (IEEE IRI 2014), San Francisco, California, USA, August 13-15, 2014, pp. 607-612. Chun Tu and Min-Yuh Day (2013), "Chinese Textual Entailment with Wordnet Semantic and Dependency Syntactic Analysis", 2013 IEEE International Workshop on Empirical Methods for Recognizing Inference in Text (IEEE EM-RITE 2013), August 14, 2013, in Proceedings of the IEEE International Conference on Information Reuse and Integration (IEEE IRI 2013), San Francisco, California, USA, August 14-16, 2013, pp. 69-74. Shih-Chen Huang and Min-Yuh Day (2013), "A Comparative Study of Data Mining Techniques for Credit Scoring in Banking", in Proceedings of the IEEE International Conference on Information Reuse and Integration (IEEE IRI 2013), San Francisco, California, USA, August 14-16, 2013, pp. 684-691. Chun Tu, Min-Yuh Day (2012), "A Statistical Approach with Syntactic and Semantic Features for Chinese Textual Entailment", IEEE International Workshop on Empirical Methods for Recognizing Inference in Text, August 8, 2012, in Proceedings of the IEEE International Conference on Information Reuse and Integration (IEEE IRI 2012), Las Vegas, Nevada, USA, August 8-10, 2012, pp. 59-64. Min-Yuh Day, Sheng-Pao Shih, Weide Chang (2011), "Social Network Analysis of Research Collaboration in Information Reuse and Integration," The First International Workshop on Issues and Challenges in Social Computing (WICSOC 2011), August 2, 2011, in Proceedings of the IEEE International Conference on Information Reuse and Integration (IEEE IRI 2011), Las Vegas, Nevada, USA, August 3-5, 2011, pp. 551-556. Cheng-Wei Lee, Min-Yuh Day, Wen-Lian Hsu (2010), "An Empirical Comparative Study of Manual Rule-Based and Statistical Question Classifiers on Heterogeneous Unseen Data", in Proceedings of the sixth Asia Information Retrieval Societies Conference (AIRS 2010), Taipei, Taiwan, December 1-3, 2010, Lecture Notes in Computer Science (LNCS), Vol. 6458, pp. 343-354. Chorng-Shyong Ong and Min-Yuh Day (2010), "An Integrated Evaluation Model of User Satisfaction with Social Media Services," in Proceedings of the IEEE International Conference on Information Reuse and Integration (IEEE IRI 2010), Las Vegas, Nevada, USA, August 4-6, 2010, pp. 195-200. Min-Yuh Day, Chorng-Shyong Ong, Wen-Lian Hsu (2009), "An Analysis of Research on Information Reuse and Integration", in Proceedings of the IEEE International Conference on Information Reuse and Integration (IEEE IRI 2009), Las Vegas, Nevada, USA, August 10-12, 2009, pp. 188-193. Chorng-Shyong Ong, Min-Yuh Day, Wen-Lian Hsu (2008), "Development of an Evaluation Model for Question Answering Systems", in Proceedings of the IEEE International Conference on Information Reuse and Integration (IEEE IRI 2008), Las Vegas, Nevada, USA, July, 13-15, 2008, pp. 178-183. Ryan T.K. Lin, Justin Liang-Te Chiu, Hong-Jei Dai, Min-Yuh Day, Richard Tzong-Han Tsai, Wen-Lian Hsu (2008), "Biological Question Answering with Syntactic and Semantic Feature Matching and an Improved Mean Reciprocal Ranking Measurement", in Proceedings of the IEEE International Conference on Information Reuse and Integration (IEEE IRI 2008), Las Vegas, Nevada, USA, July, 13-15, 2008, pp. 184-189. Ryan T.K. Lin, Hong-Jei Dai, Yue-Yang Bow, Min-Yuh Day, Richard Tzong-Han Tsai, Wen-Lian Hsu (2008), "Result Identification for Biomedical Abstracts Using Conditional Random Fields", in Proceedings of the IEEE International Conference on Information Reuse and Integration (IEEE IRI 2008), Las Vegas, Nevada, USA, July, 13-15, 2008, pp. 122-126. Cheng-Lung Sung, Min-Yuh Day, Hsu-Chun Yen , Wen-Lian Hsu (2008), "A Template Alignment Algorithm for Question Classification", in Proceedings of the IEEE International Conference on Intelligence and Security Informatics (IEEE ISI 2008), Taipei, Taiwan, June 17-20, 2008, pp. 197-199. Chun-Hung Lu, Chih-Chien Wang, Min-Yuh Day, Chorng-Shyong Ong, Wen-Lian Hsu, "Using “Cited by” Information to Find the Context of Research Papers", in Proceedings of the First International Workshop on Social Computing (SOCO 2008), Taipei, Taiwan, June 17, 2008, Lecture Notes in Computer Science (LNCS), Vol. 5075, pp. 343-354. Min-Yuh Day, Chorng-Shyong Ong, Wen-Lian Hsu (2007), "Question Classification in English-Chinese Cross-Language Question Answering: An Integrated Genetic Algorithm and Machine Learning Approach", in Proceedings of the IEEE International Conference on Information Reuse and Integration (IEEE IRI 2007), Las Vegas, Nevada, USA, August, 13-15, 2007, pp. 203-208. Richard Tzong-Han Tsai, Hong-Jei Dai, Hsi-Chuan Hung, Ryan T.K. Lin, Wen-Chi Chou, Ying-Shan Su, Min-Yuh Day, Wen-Lian Hsu (2007) ,"BESearch: A Supervised Learning Approach to Search for Molecular Event Participants", in Proceedings of the IEEE International Conference on Information Reuse and Integration (IEEE IRI 2007), Las Vegas, Nevada, USA, August, 13-15, 2007, pp. 412-417. Cheng-Wei Lee, Min-Yuh Day, Cheng-Lung Sung, Yi-Hsun Lee, Tian-Jian Jiang, Chia-Wei Wu, Cheng-Wei Shih, Yu-Ren Chen, Wen-Lian Hsu (2007), "Chinese-Chinese and English-Chinese Question Answering with ASQA at NTCIR-6 CLQA", in Proceedings of NTCIR-6 Workshop Meeting, Tokyo, Japan, May 15-18, 2007, pp. 175-181. Min-Yuh Day, Chun-Hung Lu, Chorng-Shyong Ong, Shih-Hung Wu, Wen-Lian Hsu (2006) , "Integrating Genetic Algorithms with Conditional Random Fields to Enhance Question Informer Prediction", in Proceedings of the IEEE International Conference on Information Reuse and Integration (IEEE IRI 2006), Waikoloa, Hawaii, USA, Sep 16-18, 2006, pp. 414-419. Richard Tzong-Han Tsai, Hong-Jie Dai, Hsieh-Chuan Hung, Cheng-Lung Sung, Min-Yuh Day, and Wen-Lian Hsu (2006), "Chinese Word Segmentation with Minimal Linguistic Knowledge: An Improved Conditional Random Fields Coupled with Character Clustering and Automatically Discovered Template Matching", in Proceedings of the IEEE International Conference on Information Reuse and Integration (IEEE IRI 2006), Waikoloa, Hawaii, USA, Sep 16-18, 2006, pp. 274-279. Chun-Hung Lu, Guey-Fa Chiou, Min-Yuh Day, Chorng-Shyong Ong, Wen-Lian Hsu (2006), “Using Instant Messaging to Provide an Intelligent Learning Environment”, in Proceedings of the 8th International Conference on Intelligent Tutoring Systems (ITS 2006), Jhongli, Taiwan, June 26-30, 2006, Lecture Notes in Computer Science (LNCS), Vol. 4053, pp. 575-583. Cheng-Wei Lee, Cheng-Wei Shih, Min-Yuh Day, Tzong-Han Tsai, Tian-Jian Jiang, Chia-Wei Wu, Cheng-Lung Sung, Yu-Ren Chen, Shih-Hung Wu and Wen-Lian Hsu (2005), "ASQA: Academia Sinica Question Answering System for NTCIR-5 CLQA," in Proceedings of NTCIR-5 Workshop Meeting, Tokyo, Japan, December 6-9, 2005, pp. 202-208. Cheng-Wei Lee, Cheng-Wei Shih, Min-Yuh Day, Tzong-Han Tsai, Tian-Jian Jiang, Chia-Wei Wu, Cheng-Lung Sung, Yu-Ren Chen, Shih-Hung Wu, and Wen-Lian Hsu (2005), "Perspectives on Chinese Question Answering Systems," in Proceedings of the Workshop on the Sciences of the Artificial (WSA 2005), Hualien, Taiwan, December 7-8, 2005, pp. 113-128. Min-Yuh Day, Cheng-Wei Lee, Shih-Hung Wu, Chorng-Shyong Ong, Wen-Lian Hsu (2005), "An Integrated Knowledge-based and Machine Learning Approach for Chinese Question Classification", in Proceedings of the IEEE International Conference on Natural Language Processing and Knowledge Engineering (IEEE NLP-KE 2005), Wuhan, China, October 30 - November 1, 2005, pp. 620-625. Min-Yuh Day, Tzong-Han Tsai, Cheng-Lung Sung, Cheng-Wei Lee, Shih-Hung Wu, Chorng-Shyong Ong, Wen-Lian Hsu (2005), “A Knowledge-based Approach to Citation Extraction,” in Proceedings of the IEEE International Conference on Information Reuse and Integration (IEEE IRI 2005), Las Vegas, Nevada, USA, August 15-17, 2005, pp. 50-55. Min-Yuh Day, Chun-Hung Lu, Jin-Tan David Yang, Guey-Fa Chiou, Chorng-Shyong Ong, Wen-Lian Hsu (2005), "Designing an Ontology-based Intelligent Tutoring Agent with Instant Messaging," in Proceedings of the IEEE International Conference on Advanced Learning Technologies (ICALT 2005), Kaohsiung, Taiwan, July 5-8, 2005, pp. 318-320. Shih-Hung Wu, Min-Yuh Day, Tzong-Han Tsai and Wen-Lian Hsu. (2002) “FAQ-centered Organizational Memory,” in Nada Matta and Rose Dieng-Kuntz (ed. ), Knowledge Management and Organizational Memories, Kluwer Academic Publishers, Boston, pp.103-112, 2002. Shih-Hung Wu, Min-Yuh Day and Wen-Lian Hsu (2001), “FAQ-centered Organizational Memory,” in Proceeding of the Knowledge Management and Organizational Memory workshop on the Seventeenth International Joint Conference on Artificial Intelligence (IJCAI-01), Seattle, Washington, USA, August 4-10, 2001, pp. 112-120. Mehmet Kaya, Jalal Kawash, Suheil Khoury, Min-Yuh Day, Social Network Based Big Data Analysis and Applications, Lecture Notes in Social Networks, Springer International Publishing, 2018. Chao-Lin Liu, Mitsunori Matsushita, Yasufumi Takama, Min-Yuh Day, Vincent Shin-Mu Tseng, Intelligent interaction, reasoning, and applications, Web Intelligence, 13(2), 2015, pp. 91-92. Shin-Ming Cheng, Min-Yuh Day, Technologies and Applications of Artificial Intelligence, 19th International Conference, TAAI 2014, Taipei, Taiwan, November 21-23, 2014. Proceedings, Lecture Notes in Computer Science 8916, Springer, 2014. Lotfi Zadeh, Stuart Rubin, Shu-Ching Chen, Reda Alhajj, James Joshi, Mei-Ling Shyu, Barbara Carminati, Surya Nepal, Marion Ceruti, James J. Marshall, Tanvir Ahmed, Gordon K. Lee, Tao Li, Du Zhang, Taghi M. Khoshgoftaar, Eric Gregoire, Hui Xiong, Chengcui Zhang, Louellen McCoy, Nan Niu, Suresh Vadhva, Min-Yuh Day, Seung-Yun Kim, Ju-Yeon Jo, Wen-Lian Hsu, Xingquan (Hill) Zhu, Thouraya Bouabana-Tebibel, June R. Massoud, Nathalie Baracaldo, Proceedings of the IEEE International Conference on Information Reuse and Integration (IEEE IRI 2011), IEEE Press, 2011. Lotfi Zadeh, Stuart Rubin, Shu-Ching Chen, Reda Alhajj, James B. D. Joshi, Mei-Ling Shyu, Du Zhang, Taghi M. Khoshgoftaar, Eric Grégoire, Chengcui Zhang, Louellen McCoy, Althea Liang Qianhui, Min-Yuh Day, Li Tan, Suresh Vadhva, Ju-Yeon Jo, Seung-Yun Kim, June R. Massoud, Wen-Lian Hsu, Xingquan (Hill) Zhu, Thouraya Bouabana-Tebibel, Hassan Takabi, Proceedings of the IEEE International Conference on Information Reuse and Integration (IEEE IRI 2010), IEEE Press, 2010. Christopher C. Yang, Daniel Zeng, Ke Wang, Antonio Sanfilippo, Herbert H. Tsang, Min-Yuh Day, Uwe Glasser, Patricia L. Brantingham, Hsinchun Chen, Proceedings of IEEE International Conference on Intelligence and Security Informatics (IEEE ISI 2010), IEEE Press, 2010. Lotfi Zadeh, Stuart Rubin, Shu-Ching Chen, Qianhui Liang, Du Zhang, Taghi M. Khoshgoftaar, Eric Grégoire, Chengcui Zhang, James B. D. Joshi, Li Tan, Min-Yuh Day, Seung-Yun Kim, Suresh Vadhva, June R. Massoud, Wen-Lian Hsu, Louellen McCoy, Ju-Yeon Jo, Proceedings of the IEEE International Conference on Information Reuse and Integration (IEEE IRI 2009), IEEE Press, 2009. Daniel Zeng, Latifur Khan, Lina Zhou, Min-Yuh Day, Chris Yang, Bhavani Thuraisingham, Hsinchun Chen, Proceedings of IEEE International Conference on Intelligence and Security Informatics (IEEE ISI 2009), IEEE Press, 2009. Lotfi Zadeh, Stuart Rubin, Shu-Ching Chen, Mei-Ling Shyu, Gary D. Boetticher, Du Zhang, Taghi M. Khoshgoftaar, Eric Gregoire, Wen-Lian Hsu, Althea Liang Qianhui, June R. Massoud, Louellen McCoy, Chengcui Zhang, James B. D. Joshi, Suresh Vadhva, Min-Yuh Day, Proceedings of the IEEE International Conference on Information Reuse and Integration (IEEE IRI 2008), IEEE Press, 2008. Lotfi Zadeh, Stuart Rubin, Shu-Ching Chen, Weide Chang, James B. D. Joshi, Du Zhang, Taghi M. Khoshgoftaar, Éric Grégoire, Chengcui Zhang, Wen-Lian Hsu, Althea Qianhui Liang, María Pérez, Maryoly Ortega, Ju-Yeon Jo, Min-Yuh Day, Louellen McCoy, Saubhagya Ram Joshi, Proceedings of the IEEE International Conference on Information Reuse and Integration (IEEE IRI 2007), IEEE Press, 2007. Associate Editor, International Journal of Electronic Commerce Studies (IJECS), 2017 - . Associate Editor, International Journal of Computational Linguistics and Chinese Language Processing (IJCLCLP), 2016 - . Guest Editor of Special Issue, Web Intelligence and Agent Systems: An International Journal (WIAS), 2013-2014. Editorial Board, Journal of Information Management - Concepts, Systems, and Applications (JIM), 2011 - . Reviewer, Electronic Commerce Research and Applications, (ECRA), 2019. Reviewer, Physica A: Statistical Mechanics and its Applications, (Physica A), 2019. Reviewer, IEEE Transactions on Big Data, (TBD), 2018. Reviewer, Electronic Commerce Research and Applications, (ECRA), 2018. Reviewer, IMA Journal of Management Mathematics, (IMAMAN), 2018. Reviewer, IEEE Access, (Access), 2018. Reviewer, Journal of Ambient Intelligence and Humanized Computing, (JAIHC), 2018. Reviewer, Journal of Information Management, (JIM), 2018. Reviewer, Journal of Library and Information Science, (JLIS), 2018. Reviewer, Social Network Analysis and Mining, (SNAM), 2018. Reviewer, International Journal of Information and Management Sciences (IJIMS), 2017. Reviewer, International Journal of E-Business Research (IJEBR), 2017. Reviewer, Social Network Analysis and Mining, (SNAM), 2013. Reviewer, Journal of the American Society for Information Science and Technology (JASIST), 2013. Reviewer, Journal of the American Society for Information Science and Technology (JASIST), 2012. Reviewer, International Journal of Computational Linguistics and Chinese Language Processing (IJCLCLP), 2012. Reviewer, Computers in Human Behavior (CHB), 2012. Reviewer, Computers in Human Behavior (CHB), 2011. Reviewer, Journal of the American Society for Information Science and Technology (JASIST), 2010. Reviewer, IEEE Transactions on Systems, Man, and Cybernetics, Part B: Cybernetics (IEEE SMCB), 2010. Reviewer, Computers in Human Behavior (CHB), 2010. Reviewer, Information Sciences (INS), 2010. Reviewer, Information Systems Frontiers (IS Frontiers), 2010. Reviewer, Information Sciences (INS), 2009. Reviewer, IEEE Transactions on Systems, Man, and Cybernetics, Part C: Applications and Reviews (IEEE SMCC), 2008. Reviewer, Evolutionary Computation (MIT ECJ), 2007. Reviewer, IEEE Transactions on Neural Networks (IEEE TNN), 2006. Reviewer, Decision Support Systems (DSS), 2006. Conference Co-Chair, The 31th annual Conference on Computational Linguistics and Speech Processing (ROCLING 2019), Taipei, Taiwan, October 3-4, 2019. Publications Co-Chairs, The 2019 IEEE/ACM International Conference on Advances in Social Networks Analysis and Mining (ASONAM 2019), Vancouver, Canada, August 27-30, 2019. Program Co-Chair, The 10th International Workshop on Mining and Analyzing Social Networks for Decision Support (MSNDS 2019), Vancouver, Canada, August 27-30, 2019. Publication Chair, The 20th IEEE International Conference on Information Reuse and Integration for Data Science (IEEE IRI 2019), Los Angeles, CA, USA, July 30 - August 1, 2019. Program Co-Chair, The 8th IEEE International Workshop on Empirical Methods for Recognizing Inference in TExt (IEEE EM-RITE 2019), Los Angeles, CA, USA, July 30 - August 1, 2019. Program Co-Chair, The 30th annual Conference on Computational Linguistics and Speech Processing (ROCLING 2018), Hsinchu, Taiwan, October 4-5, 2018. Program Co-Chair, The 9th International Workshop on Mining and Analyzing Social Networks for Decision Support (MSNDS 2018), Barcelona, Spain, August 28-31, 2018. Publications Co-Chairs, The 2018 IEEE/ACM International Conference on Advances in Social Networks Analysis and Mining (ASONAM 2018), Barcelona, Spain, August 28-31, 2018. Program Co-Chair, The 7th IEEE International Workshop on Empirical Methods for Recognizing Inference in TExt (IEEE EM-RITE 2018), Salt Lake City, Utah, USA, July 7-9, 2018. Publication Chair, The 19th IEEE International Conference on Information Reuse and Integration (IEEE IRI 2018), Salt Lake City, Utah, USA, July 7-9, 2018. Program Co-Chair, The 6th IEEE International Workshop on Empirical Methods for Recognizing Inference in TExt (IEEE EM-RITE 2017), San Diego, CA, USA, August 4-6, 2017. Publication Chair, The 18th IEEE International Conference on Information Reuse and Integration (IEEE IRI 2017), San Diego, CA, USA, August 4-6, 2017. Workshop Co-Chair, The 18th IEEE International Conference on Information Reuse and Integration (IEEE IRI 2017), San Diego, CA, USA, August 4-6, 2017. Program Co-Chair, The 8th International Workshop on Mining and Analyzing Social Networks for Decision Support (MSNDS 2017), Sydney, Australia, July 31-August 3, 2017. Publications Co-Chairs, The 2017 IEEE/ACM International Conference on Advances in Social Networks Analysis and Mining (ASONAM 2017), Sydney, Australia, July 31-August 3, 2017. Publications Co-Chairs, The 2016 IEEE/ACM International Conference on Advances in Social Networks Analysis and Mining (ASONAM 2016), San Francisco, California, USA, August 18-21, 2016. Program Co-Chair, The 7th International Workshop on Mining and Analyzing Social Networks for Decision Support (MSNDS 2016), San Francisco, California, USA, August 18-21, 2016. Organizing Committee, International Workshop on Open Data and Applications (IWODA 2016), Kean University, New Jersey, USA, August 15-17, 2016. Program Co-Chair, The 5th IEEE International Workshop on Empirical Methods for Recognizing Inference in TExt (IEEE EM-RITE 2016), Pittsburgh, Pennsylvania, USA, July 28-30, 2016. Workshop Co-Chair, The 17th IEEE International Conference on Information Reuse and Integration (IEEE IRI 2016), Pittsburgh, Pennsylvania, USA, July 28-30, 2016. Publications Co-Chairs, The 2015 IEEE/ACM International Conference on Advances in Social Networks Analysis and Mining (ASONAM 2015), Paris, France, August 25-28, 2015. Program Co-Chair, The 2015 IEEE International Workshop on Empirical Methods for Recognizing Inference in TExt (IEEE EM-RITE 2015), San Francisco, California, USA, August 13-15, 2015. Workshop Co-Chair, The 2015 IEEE International Conference on Information Reuse and Integration (IEEE IRI 2015), San Francisco, California, USA, August 13-15, 2015. Publications Co-Chair, The 2015 IEEE International Conference on Information Reuse and Integration (IEEE IRI 2015), San Francisco, California, USA, August 13-15, 2015. Publication Co-Chairs, Ninth IEEE International Conference on Semantic Computing (ICSC 2015), Anaheim, California, USA, February 7-9, 2015. Publications Co-Chairs, The 2014 IEEE/ACM International Conference on Advances in Social Networks Analysis and Mining (ASONAM 2014), Beijing, China, August 17-20, 2014. Program Co-Chair, The 2014 IEEE International Workshop on Empirical Methods for Recognizing Inference in TExt (IEEE EM-RITE 2014), San Francisco, California, USA, August 13-15, 2014. Workshop Co-Chair, The 2014 IEEE International Conference on Information Reuse and Integration (IEEE IRI 2014), San Francisco, California, USA, August 13-15, 2014. Publications Co-Chair, The 2014 IEEE International Conference on Information Reuse and Integration (IEEE IRI 2014), San Francisco, California, USA, August 13-15, 2014. Publications Co-Chairs, The 2013 IEEE/ACM International Conference on Advances in Social Networks Analysis and Mining (ASONAM 2013), Niagara Falls, Canada, August 25-28, 2013. Program Co-Chair, The 2013 IEEE International Workshop on Empirical Methods for Recognizing Inference in TExt (IEEE EM-RITE 2013), San Francisco, California, USA, August 14, 2013. Workshop Co-Chair, The 2013 IEEE International Conference on Information Reuse and Integration (IEEE IRI 2013), San Francisco, California, USA, August 14-16, 2013. Publication Chair, The 24th Conference on Computational Linguistics and Speech Processing (ROCLING 2012), Chung-Li, Taiwan, September 21-22, 2012. Program Co-Chair, The 2012 IEEE International Workshop on Empirical Methods for Recognizing Inference in TExt (IEEE EMRITE 2012), Las Vegas, Nevada, USA, August 8, 2012. Workshop Co-Chair, The 2012 IEEE International Conference on Information Reuse and Integration (IEEE IRI 2012), Las Vegas, Nevada, USA, August 8-10, 2012. Publications Co-Chair, The 2012 IEEE International Conference on Information Reuse and Integration (IEEE IRI 2012), Las Vegas, Nevada, USA, August 8-10, 2012. Publication Chair, The 2011 Conference on Technologies and Applications of Artificial Intelligence (TAAI 2011), Taoyuan, Taiwan, November 11-13, 2011. Publications Co-Chair, The 2011 IEEE International Conference on Information Reuse and Integration (IEEE IRI 2011), Las Vegas, Nevada, USA, August 3-5, 2011. Publications Co-Chair, The 2010 IEEE International Conference on Information Reuse and Integration (IEEE IRI 2010), Las Vegas, Nevada, USA, August 4-6, 2010. Publication Co-Chair, The 2010 IEEE International Conference on Intelligence and Security Informatics (IEEE ISI 2010), Vancouver, British Columbia, Canada, May 23-26, 2010. Publications Co-Chair, The 2009 IEEE International Conference on Information Reuse and Integration (IEEE IRI 2009), Las Vegas, Nevada, USA, August 10-12, 2009. Publication Co-Chair, The 2009 IEEE International Conference on Intelligence and Security Informatics (IEEE ISI 2009), Dallas, Texas, USA, June 8-11, 2009. Publications Chair, The 2008 IEEE International Conference on Information Reuse and Integration (IEEE IRI 2008), Las Vegas, Nevada, USA, July 13-15, 2008. Publication Co-Chair, The 2008 IEEE International Conference on Intelligence and Security Informatics (IEEE ISI 2008), Taipei, Taiwan, June 17-20, 2008. Publications Chair, The 2007 IEEE International Conference on Information Reuse and Integration (IEEE IRI 2007), Las Vegas, Nevada, USA, August 13-15, 2007. Reviewer, The 27th International Conference on Computational Linguistics (COLING 2018), Santa Fe, New Mexico, USA, August 20-26, 2018. PC Member, The 6th International Workshop on Natural Language Processing for Social Media (SocialNLP 2018) In conjunction with ACL 2018, Melbourne, Australia, July 20, 2018. PC Member, The 5th International Workshop on Natural Language Processing for Social Media (SocialNLP 2017) In conjunction with EACL 2017, Valencia, Spain, April 3, 2017. PC Member, The 3rd International Workshop on Natural Language Processing for Social Media (SocialNLP 2015) in conjunction with WWW 2015, Florence, Italy, May 19, 2015. PC Member, 7th IEEE International Conference on Social Computing and Networking (SocialCom 2014), Sydney, Australia, December 3-5, 2014. PC Member, The Second Workshop on Natural Language Processing for Social Media (SocialNLP 2014) in conjunction with COLING-2014, Dublin, Ireland, August 24, 2014. PC Member, The 2013 IEEE/ACM International Conference on Advances in Social Networks Analysis and Mining (ASONAM 2013), Niagara Falls, Canada, August 25-28, 2013. PC Member, The 2012 International Conference on Advances in Social Networks Analysis and Mining (ASONAM 2012), August 26-29, 2012, Istanbul, Turkey. PC Member, The 13th IEEE International Conference on High Performance Computing and Communications (HPCC-2011), September 2-4, 2011, Banff, Canada. PC Member, The 2011 International Conference on Advances in Social Networks Analysis and Mining (ASONAM 2011), July 25-27, 2011, Kaohsiung, Taiwan. Reviewer, 15th International Conference Information Visualisation (IV11), July 12-15, 2011, London, UK. Session Chair, The 2010 IEEE International Conference on Information Reuse and Integration (IEEE IRI 2010), Las Vegas, Nevada, USA, August 4-6, 2010. PC Member, The 2010 International Conference on Advances in Social Networks Analysis and Mining (ASONAM 2010), August 9-11, 2010, Odense, Denmark. Reviewer, 14th International Conference Information Visualisation (IV10), July 27-29, 2010, London, UK. Session Chair, The 2009 IEEE International Conference on Information Reuse and Integration (IEEE IRI 2009), Las Vegas, Nevada, USA, August 10-12, 2009. Reviewer, 13th International Conference Information Visualisation (IV09), July 15-17, 2009, Barcelona, Spain. Session Chair, The 2008 IEEE International Conference on Information Reuse and Integration (IEEE IRI 2008), Las Vegas, Nevada, USA, July 13-15, 2008. Session Chair, The 2008 IEEE International Conference on Intelligence and Security Informatics (IEEE ISI 2008), Taipei, Taiwan, June 17-20, 2008. Session Chair, The 2007 IEEE International Conference on Information Reuse and Integration (IEEE IRI 2007), Las Vegas, Nevada, USA, August 13-15, 2007. Attendee, The 2007 IEEE International Conference on Information Reuse and Integration (IEEE IRI 2007), Las Vegas, Nevada, USA, August, 13-15, 2007. Attendee, The 6th NTCIR Workshop Meeting (NTCIR-6), Tokyo, Japan, May 15-18, 2007. Attendee, The 2006 IEEE International Conference on Information Reuse and Integration (IEEE IRI 2006), Waikoloa, Hawaii, USA, Sep 16-18, 2006. Attendee, The 8th International Conference on Intelligent Tutoring Systems (ITS 2006), Jhongli, Taiwan, June 26-30, 2006. Attendee, The 2005 IEEE International Conference on Natural Language Processing and Knowledge Engineering (IEEE NLP-KE 2005), Wuhan, China, October 30 - November 1, 2005. Attendee, The 2005 IEEE International Conference on Information Reuse and Integration (IEEE IRI 2005), Las Vegas, Nevada, USA, August 15-17, 2005. Attendee, The 5th IEEE International Conference on Advanced Learning Technologies (ICALT 2005), Kaohsiung, Taiwan, July 5-8, 2005.